769kg of Cocaine seized by law enforcement agencies in the past have been destroyed in a cement kiln of 1800°C-2000°C at the INSEE cement factory in Puttalam. 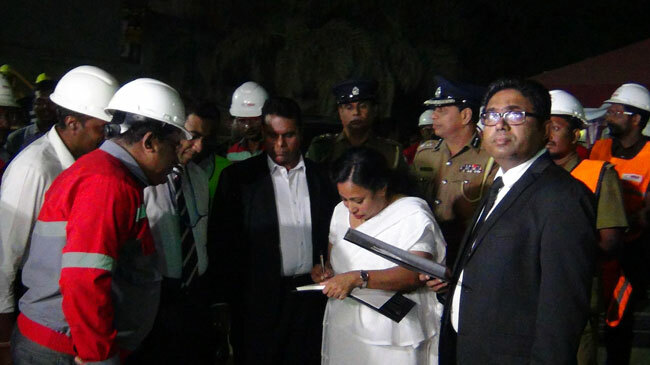 The procedure was conducted under the supervision of Colombo Chief Magistrate Lanka Jayaratne and Mount Lavinia Chief Magistrate M.M.M. Niffar. The stock of Cocaine was liquefied last evening and brought to the INSEE cement factory under tight police security. The event to destroy the seized cocaine commenced at Suraweera warehouse complex in Maguruwela, Kelaniya last morning (01). President Maithripala Sirisena had attended the event for observation. Police Narcotics Bureau, National Dangerous Drugs Control Board and Government Analyst’s Department, Presidential Task Force on Drug Prevention had participated in this event.